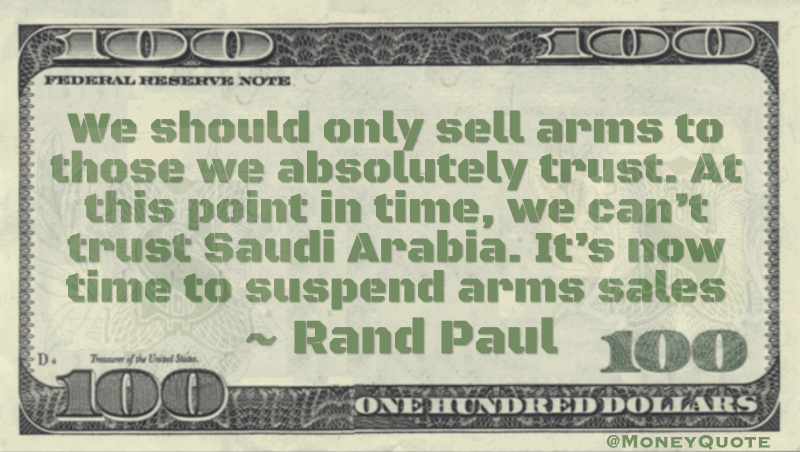 We should only sell arms to those we absolutely trust. At this point in time, we can’t trust Saudi Arabia. It’s now time to suspend arms sales. The Senate will soon act on this. They should also immediately replace their ambassador to the US. Change is coming!